On a grey and drizzly day, the Bears wrapped up spring ball with practice number fifteen at Memorial Stadium Friday. The players were in pads and practiced thud (contact without tackling), with occasional tackling to the ground mixed in. 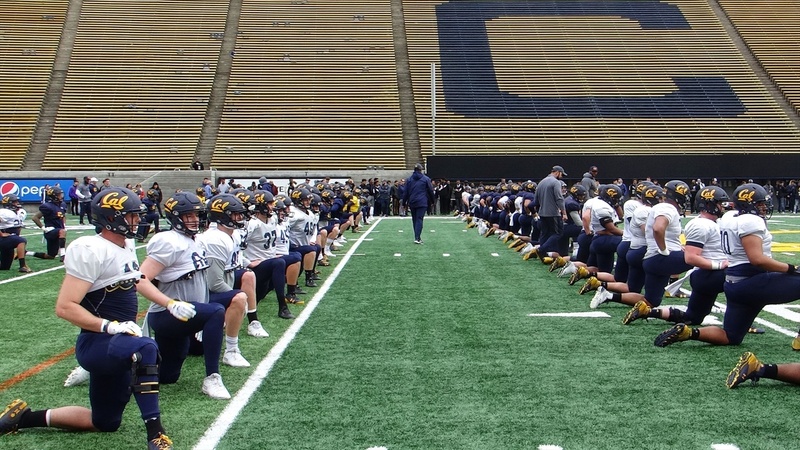 This year’s spring practice featured a number of changes, including an earlier start and finish, as well as the spring game taking place a week before camp ended, giving time for follow-up sessions to fine tune what was learned from the scrimmage situations last Saturday.